Plain Steel / Silver-Plated Wound silk and Steel with Ball Ends - 3 courses with 2 strings each. I received wonderful service. 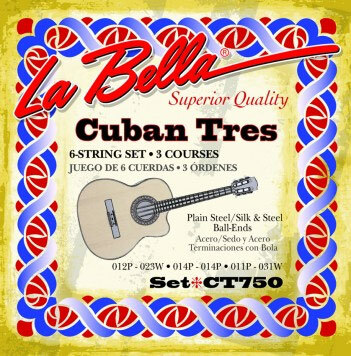 I needed the Cuban Tres strings very quickly before I left for a trip to Cuba where I will be visiting social center for teenagers. Some of these kids are learning how to play guitars and others are ready to perform. My order small order was handled very quickly and the strings arrived well before my departure on 9/20.